You’ll soon be able to secure your smart home with your voice. At CES 2019, McAfee announced the launch of new Secure Home Platform voice commands for Google Assistant, which will enable you to keep track of your whole network without fiddling with software and app interfaces. Secure Home Platform will come built into routers and gateways, and will let you perform security checks using spoken commands. 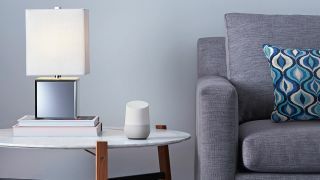 For example, you could ask your Google Home speaker how many devices are currently connected, or ask your Sonos One to scan the network for weaknesses. “From connected toasters to smart TVs consumers are enjoying the conveniences associated with the IoT devices as they enhance their everyday lives, but so are cybercriminals,” said Shailaja Shankar, McAfee’s general manager for mobile and ISP business units. McAfee hasn’t announced which companies will be building the new tech into their routers and wireless gateways, but it’s still early days, so we might well hear more in the coming days at CES. McAfee also announced a new product specifically designed for PC gamers: McAfee Gamer Security. Antivirus software is notorious for gobbling system resources and slowing down PCs, which might go some way to explaining why, according to McAfee’s research, some 17% of gamers have chosen not to install any (or don’t know if they have it). McAfee Gamer Security aims to lighten the load with a dedicated Game Mode that optimizes system resources and suppresses pop-ups – improving gaming performance rather than dragging it down. There’s also a gamer-friendly dashboard that offers live system information, and a smaller total resource footprint. McAfee plans to release Gamer Security for beta testing in the US in the first quarter of 2019, and you can sign up to the beta program today.